At some point, mocking bad machine translation will surely get old (or machine translation will improve to the point that it won’t be so funny anymore). But since that point hasn’t yet arrived, take a coffee break and hop on over to Jill Sommer’s blog for a YouTube video about machine-translated love gone wrong. The American Translators Association Translation Company Division held its 9th annual conference in Denver this past weekend. This was a high-quality conference, even for those of us who are technically freelancers and not translation companies; the presentations were very well done and it was a good chance to get an agency’s-eye view of the industry. Is Wordfast divorcing Microsoft Word? 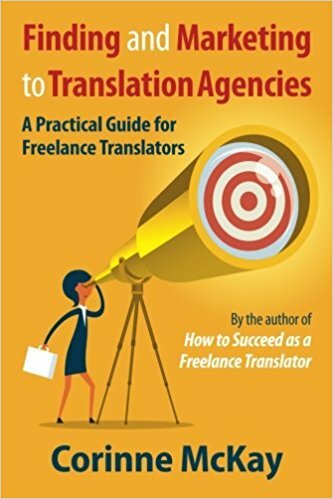 For beginning and experienced translators alike, there is often no way around the need to cold contact potential clients. Beginners need to find those crucial first few clients, and those of us who are established in the industry may want to look for better-paying work, work with direct clients or work in a new specialization.